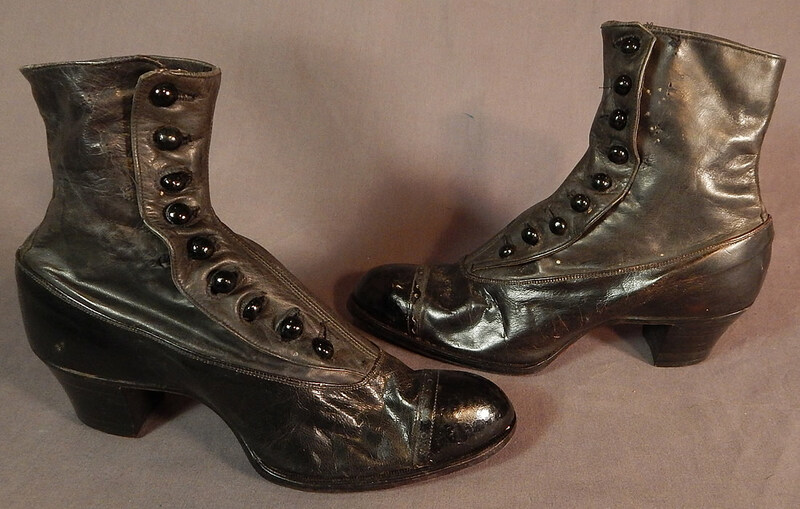 This pair of antique Victorian era vintage May Blossom black, gray two tone leather high top button boots shoes dates from 1900. 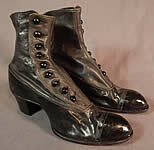 They are made of a supple two tone dark gray upper boot and black patent leather bottom shoe. 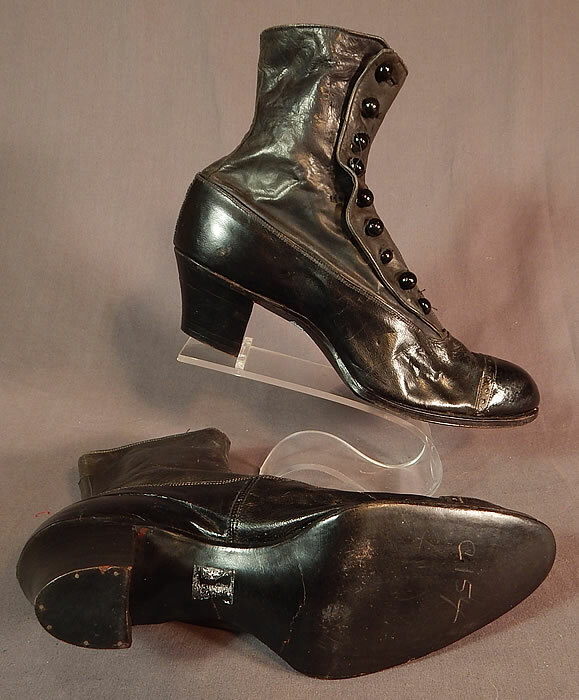 These beautiful boots have rounded toes with decorative punchwork designs, the original 9 black shoe buttons for closure and stacked wooden cube heels. 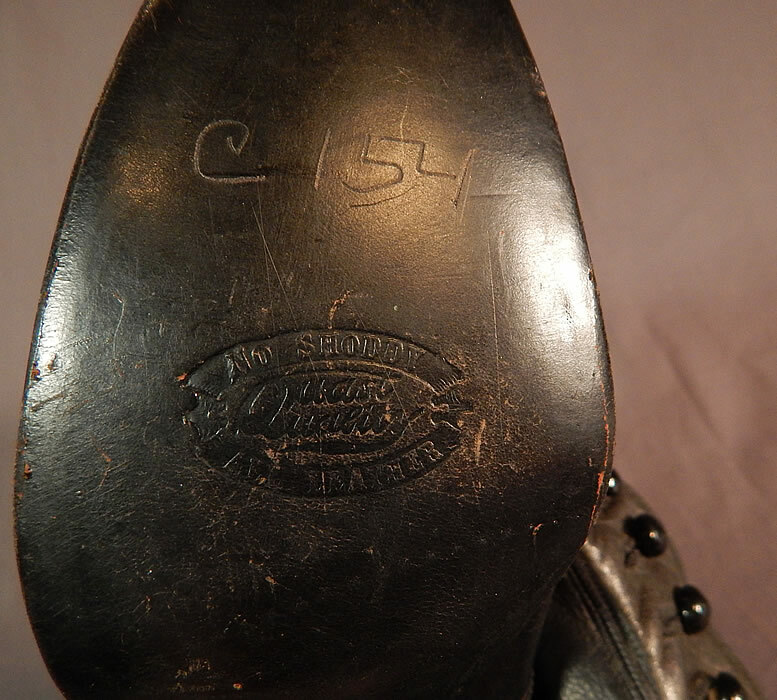 There is a "May Blossom No Shoddy Quast Quality" label inside and stamped on the bottom soles. 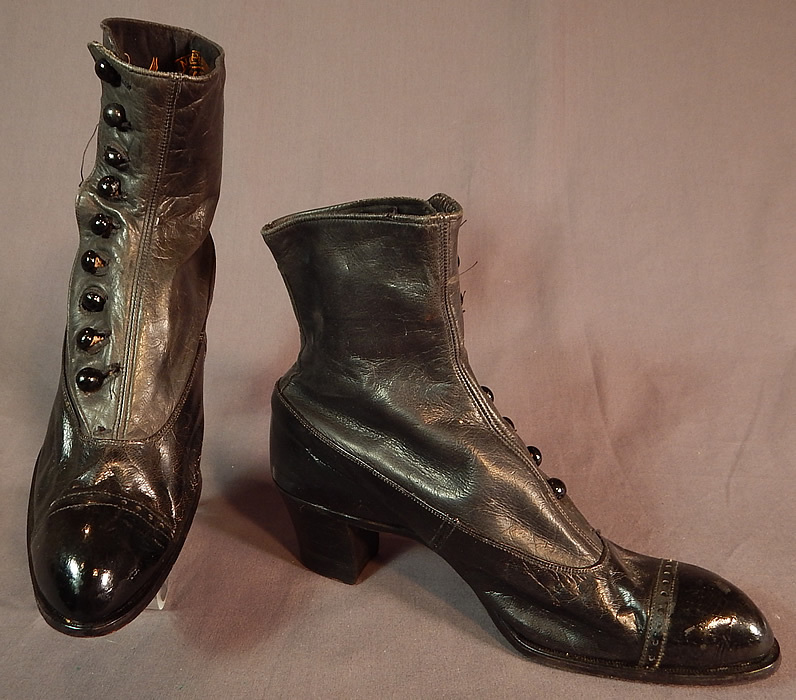 The boots measure 7 inches tall, 9 1/2 inches long, 3 inches wide, with 1 1/2 inch high heels and are approximately a size 6 narrow width. 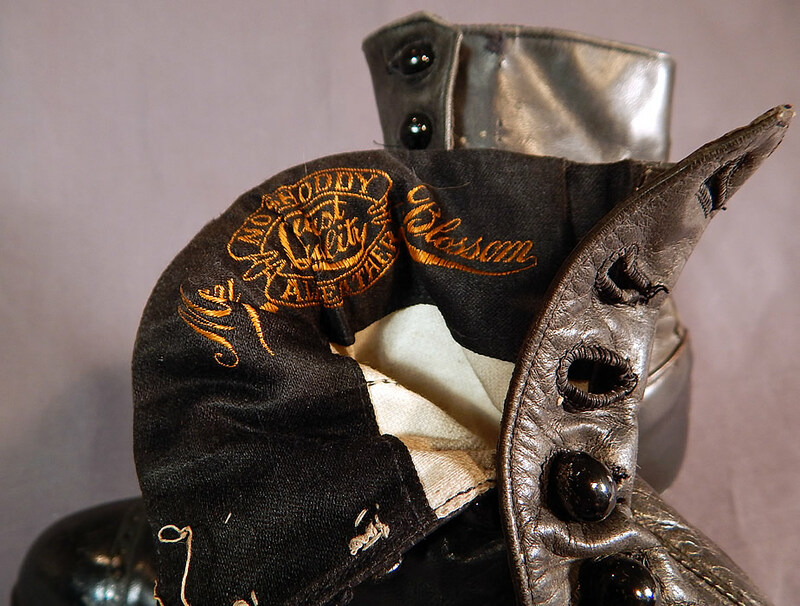 They are in good condition and appear to have never been worn, with only the buttons have been moved over to be made larger leaving tiny pin holes along the sides. These are truly a wonderful, wearable, quality made antique boot! Buyer pays $14.00 shipping and insurance, USA orders.